Most conspiracy theories are bunk. Here's an interesting one from a reliable source. Hungarian Prime Minister Viktor Orban and Italian Interior Minister Matteo Salvini made no secret of their mutual admiration ahead of their meeting in Milan on Tuesday. United in their anti-immigration policies and relentless bashing of the EU, the two right-wing lawmakers called for the creation of a pan-European anti-migrant alliance that would seek to prevent migration to Europe from besieged regions in Africa and the Middle East. Salvini, who heads the far-right League party, the junior partner in Italy's populist coalition, told reporters that Italy and Hungary would strive to forge a future union "that excludes socialists and the left, that brings back to the center the values and identity" that their parties represent. Orban, meanwhile, called on the European People's Party, the largest group in the European Parliament to which his Fidesz party belongs, to adopt a hardline stand against illegal immigration. Salvini's League party has since 2014 allied itself in the European Parliament with the likes of Marine Le Pen's National Rally and Freedom Party of Austria. Orban described Salvini as his "hero and companion" for turning away migrant rescue ships, claiming that such actions were crucial for Europe's security. "Hungary has proven that migrants can be stopped on land," said Orban. "And this is where Salvini's mission starts: "(Italy) must show that migrants can also be stopped at sea." Around one thousand demonstrators gathered on the streets of Milan to protest Orban's visit on Tuesday. "We do not want Orban's vison of Europe," Socialist MEP Emanuele Fiano said. "Orban calls himself Salvini's friend, but when it comes to taking in refugees from war-town countries, he slams the door." Salvini's senior coalition partners from the populist Five-star Movement (M5S) had also reacted angrily to the meeting. In Monday's La Stampa newspaper, Italy's deputy prime minister, Luigi Di Maio, chided Budapest's refugee policy, saying it ran counter to Italy's own interests. "Orban's Hungary is building barbed wire fences and refusing to redistribute refugees in the EU," Di Maio wrote. Normally I throw discussions like what follows straight into the ash can. However, this once caught my attentions because it's from Eurointelligence. Although I disagree entirely with most of their Eurointelligence views and solutions on what should happen, Eurointelligence is generally excellent regarding what is happening at the moment. So, please consider "The Plot"
The meeting between Matteo Salvini and Viktor Orban gives us an important clue about the strategy of the far-right in Europe, of which the two are the most prominent leaders. It is true, of course, that Italy wants Hungary and other EU countries to take up refugees, and that Orban refuses. And yet here they are, in a united front against European liberals and against their favourite bogeyman, Emmanuel Macron. 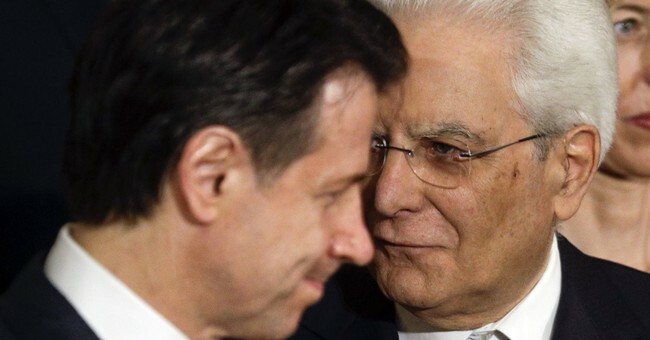 We observed a similar odd alliance between Salvini and Horst Seehofer, the CSU leader, who almost brought the German government to collapse with his demand to send secondary asylum seekers back to Italy. These oddities have a simple explanation. Salvini and Orban (and Seehofer) are playing a long strategic game: to deprive the centre-left of its built-in majority in the European Parliament. And Orban’s role in this is to usurp the EPP and move it from its current centrist positions towards the right. From the perspective of Salvini, Orban is the European version of Sylvio Berlusconi, a stooge on the way to power. And Orb'an probably sees Salvini in the same way. They will eventually fall out, but not now. The idea of a ultra-right takeover of the EU would have sounded completed absurd not too long ago, but if you do the math for next year’s elections, you can see the broader strategy behind their game plan. Federico Fubini noted in an analysis in Corriere della Sera this morning that the grand coalition between the European People’s Party (EPP) and the centre-left Socialists and Democrats (S&D) is almost certain to end. In 2009, the two groupings had two thirds of the seats. In 2014, their share went down to 54%, despite the landslide victory of Matteo Renzi’s PD in Italy. Judging by the latest opinion polls, the old grand coalition no longer has a majority in ten countries qhich account for two thirds of the seats. Together, both groups are set to lose some 60-70 seats, out of 412 MEPs. But there will be a shift within the EPP too, as Orban will almost certainly retain his 15 MEPs. So this is a two-pronged attack. The Lega of Legas is strengthening while the EPP is shifting to the right. A new coalition of the right is emerging. This also explains why Orb'an and Salvini see Macron as their enemy, rather than Merkel. They are planning for the post-Merkel era. Lucia Annunziata, a veteran observer of Italian domestic politics, notes that Salvini’s strategy should not be underestimated. Italy is at a juncture in its European politics from which there may be no return. The most important point she made in her comment is that Salvini’s game is not to persuade the EU, but for Italy to be humiliated by it and then to benefit from the outrage. We would add that this is the game fascists have been playing since time immemorial. Centrist commentators keep on making the mistake to underestimate both Orban and Salvini, and to overestimate the power their old allies have over them. The EPP does not control Orb'an just as Berlusconi does not control Salvini. It is worth reading some of Orb'an's speeches to see the sheer radicalism of the man. We noted a speech in which he accuses the European Commission of acting in the interest of the large countries against the small. He does not hide the fact that he regards the European elections as an instrument to change the power within the Commission. We should therefore not take it for granted that the Spitzenkandidat of the grouping with the largest number of seats will automatically become the next Commission president. Whoever is nominated for the job by the European Council requires a majority in the EP. The Salvini/Orban coalition on its own may not have the power to block, say, a German candidate for the Commission, but a coalition of the right, the far left, and the non-aligned might make this possible. Let's not confuse leaders of countries acting in their own best interests with an actual conspiracy. Yet, the gist of the article rings true. It is a mistake to underestimate Orban or Salvini. It is also a mistake to underestimate what a Salvini-Five Star coalition might do. The "grand coalition" is dead. Interestingly, that has two distinct aspects. I do not detect a conspiracy here, at least in the traditional sense. Italy does not want more refugees. Hungary does not want more refugees. Five-Star, which criticized the meeting between Salvini and Orban does not want more refugees. No one is taking views contrary to their political position. On one is doing anything illegal. Rather, what's happening is a natural alliance. Eurointelligence just happens not to like it. That does not make it a "plot" or a conspiracy of any kind. Yet, the bottom line result may very well be the same.